There comes a time when you can’t ignore all of the gunk on your car. If a huge amount of debris have piled up on your car, it may be time to bring your car to a professional car wash. This is also true if the paint is chipping, or if it’s covered in pollen residue. If you’re still unsure if your car needs professional cleaning services like those found at out Vancouver Hand Car Wash, here are some signs that it is time. Wax on, Wax off- One of the reasons to go to a professional car wash is if your car needs a wax. Many people think of waxing their car as simply a luxury that’s done for cosmetic purposes, but it actually is much more vital than that. Waxing your car will help protect the car’s paint job and it will preserve the oils in the paint that prevent oxidation. This will keep the paint looking fresh and will keep the resale value of your car up, since a good paint job is one of the factors that will help your car fetch a better price on the market. For best results your car should be waxed at least every couple of months. If your paint is starting to look dull, it is probably time to bring your car to a professional for a good waxing. Beware of Salt – If it’s winter, you’ll want to bring your car to a car wash regularly to get the salt off of it. The salt can severely damage paint over time. It can also cause damage on the alloy wheels and rust spots on the body panels. You want to make sure that salt doesn’t stay on your car for long so you don’t get these types of damages. A professional car wash has hoses specifically to pressure clean your wheels, which you need to get off the most salt possible. If the bottom of your car is crusty with salt, it is definitely time to bring it to a car wash for a cleaning. Any kind of dirt, plant debris, or bird dropping can damage your car’s paint job, and in the winter salt can damage a significant amount of the exterior of your car. 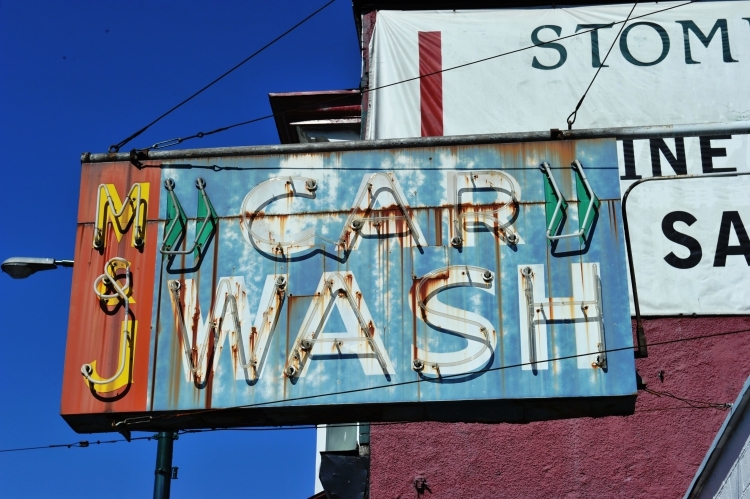 As soon as you notice any sign of wear and tear on your car, it’s time to take it for a cleaning at a place like our Vancouver Hand Car Wash. They’ll be able to make sure your car looks like it’s brand new. If you have any more questions or concerns about your car, please contact us and we’ll be glad to help. This entry was posted in Blog by Andrew Tinhla. Man Versus Machine: Which is Better at Car Washing?